Learn to manage and lead your workforce in this evermore common, high octane environment. Uncover ways to exert influence as a team leader, increase performance across your organization, and support the achievement of business objectives with the guidance of our seasoned faculty. 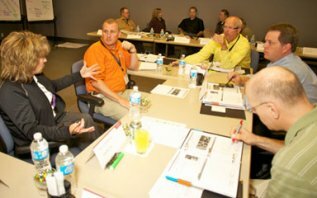 Drive performance, maintain a highly-effective work culture, and build leadership capabilities to meet future business needs in this dynamic course.